In the altitude of 3000 meters in Tibetan Autonomous Prefecture of Gannan, theaverage air temperature is only 1.7 ℃.Here lives over 6000 yaks in the mountains and ice field. The best textilematerial that keeps against cold- yak hair is produced in this place. Yak hair is the inner hair of yak which is the finest hair near the headof yak. Yak hair grows in fall and fall out naturally in spring. The herdsmanneeds to collect it with hand. 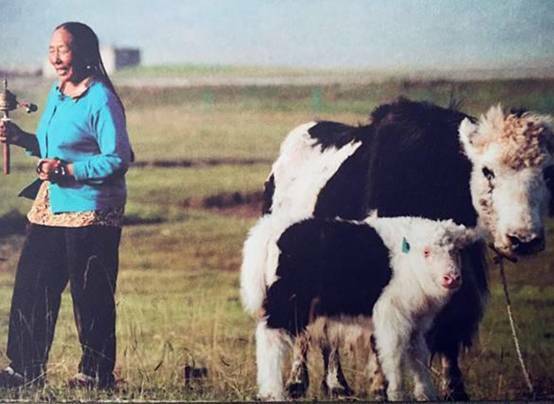 The best yak hair is produced by small yak nomore than 2 year old and each little yak can only produce around 100 grams yakhair. 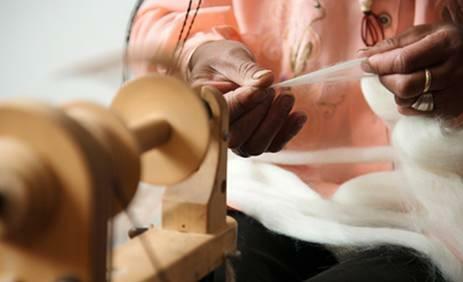 To make a traditional yak scarf, it needs the yak hair from nearly 30 yakanimals and four days to spin the yarn and seven days to knit it. Each yakproduct contains the simple and unadorned feelings of Tibetans and heritage ofTibetan culture. Yak product is fine and plain, soft and light. It feels like warm hug when wearing next to skin. Because yak hair is so precious and its complex craft, it is favored by top brands like LV and HERMES.